Mrs Adson on the Radio! Mrs Adson was on AllFM 96.9fm this morning discussing MEA Central's work towards achieving the Rainbow Flag award. Mrs Adson talked passionately about the need for schools to be safe places and beacons of equality, especially for those students who identify as LGBTQ+. The discussion also focused around the first MEA Central Pride event taking place in February 2019, LGBTQ+ History Month. 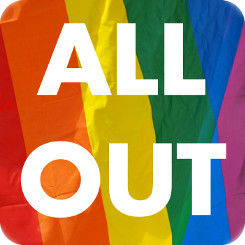 Listen again to the show: http://www.allout.info/listen-again/ - Mrs Adson was on an hour into the show. The hosts were so impressed with the work school is doing, that they have asked to bring students next time! We can't wait!